On Monday the C.G. watches changed from 8 o’c to 2 o’c etc. to 6 o’c to 12 o’c etc. Don’t know if we shall like it as well. Father is on watch from 6 p.m. until 12 o’c tonight. Our evenings won’t seem so broken up when he goes on or comes off at 6 pm but mornings will be short when he goes on at 12 noon or comes off then. Tom has been taken on as relief Aux C.G. [Auxiliary Coastguard]. He is quite thrilled with the idea at present. Have got photos of C.Gs framed and sent Emmie hers. On Friday evening I tried my hand at a soft toy and made a very decent horse out of Jean’s old grey flannel shorts, kapok down and a bit of wool trimming. The pattern is good and instructions very clear. Rene and I are making me a velvet tam. Think it will be very nice when finished. I could have finished it tonight I think but have been seedy all day and wanted to get on with Jean’s cardigan too so did not get it out again after tea. Have not washed yet as Rene was collecting Red + Mon and it was drizzly this morning and I did not feel up to starting either. Jo. Sharp and Jim Clarke are home on embarkation leave. Rex Lenton in America after flying mishap, have heard his plane was shot down into sea and that he and rest of crew were picked up and taken to America. Pet[er] Kirk is home this weekend after attending Ad[miral] Sir Dudley Pound’s funeral service. Sir D. was afterwards cremated and his ashes together with his wife’s (she died in the summer) were strewn on the sea. Had a letter from Emmie on Sat. She had heard from Ron, a letter dated 17 Oct so fairly new. He is in Italy and in billets now. A welcome change after “bivvy” tent I guess. Says view from billet is magnificent, and the climate is more like home than he has been in before. I think their winter is the same time as ours. Art Belton is in Italy and says he is sick of grapes. We could do with a few here. A lot of Canad[ian] apples are coming over also a lot of turkeys and other food from Ireland for Xmas. Mrs Coulston got me 1 lb small raisins this week with my points and a tin of sw[eetened] milk for Father’s porridge. Petrol coupons arrived this morning. We all went to Chapel Sun night. It was a nice evening but very dark when we came home. Keith and Marian were there and Lau[rence] played the organ. Rev. Hodgson preached. Miss West is getting to look a very old lady. One or two church people were there as Vicar has the flu’ so no church service. It has been an “owery” day but cleared at sunset and sun shone into kitchen while we were at tea. We did not go into room until Father had gone on watch as Rene and I had been so busy with hat we didn’t get the fire put in. Chrysanths are coming out well, as weather keeps mild. Jean’s are fine ones. She dug up old roots and set slips, and blooms are much bigger than on my old plants. Best to dig them up every year I think and set new slips. There are stray violets and polyanth’s in bloom too and a few marigolds still glow in odd corners. I am writing this in bed and a tiresome old “bluebottle” is buzzing round the room. Every now and then the wind freshens up so perhaps it will blow fog and drizzle away. Only just over 7 weeks to Xmas now. Russians have invaded one side of Crimea. Gers. look like being completely routed there before long. Think another 6 months will see the end of the War or at least it will be in sight. I wonder if Ger’s. will send any big air raids before then. A Coastguard group photograph has already been shown (see 7 Jun 1942). The one mentioned here was probably taken later. Jo. Sharpe was the greengrocer’s son, Cyril, known as ‘Joey’ (see 2 Feb 1943). He and Jim Clarke served in the Royal Army Veterinary Corps, together until assigned to separate units abroad after the embarkation leave. 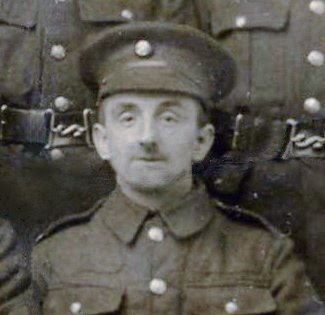 Jim Clarke, son of Jesse Clarke, living in Hogsthorpe, was the nephew of farmer Walter Clarke (see 2 Mar 1942). 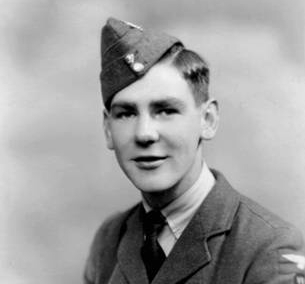 Rex Lenton was an RAF wireless operator/ air gunner on a Liberator B24 bomber which crashed while attacking a submarine in the Atlantic. 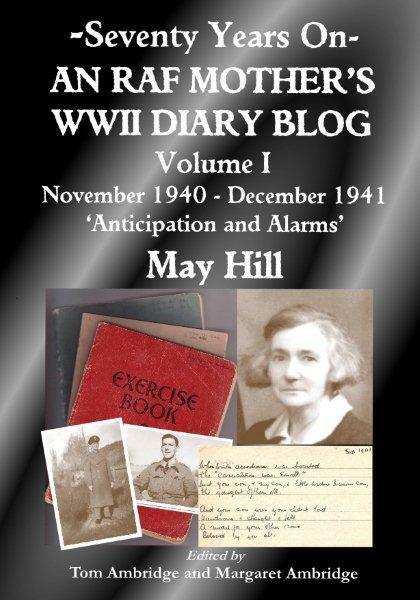 Jean later noted in her diary (13th January 1944) that he was in hospital in Newfoundland with a broken leg, according to his sister, Judy, when asked at school. His father, Bob, a butcher who died before the war, had owned the shop that had become Wells’. 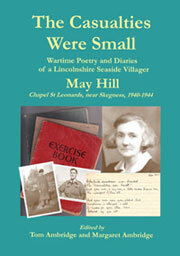 Jim Lenton, Home Guard member, was Bob’s brother, a farmer. Sir Dudley Pound, Admiral of the Fleet and First Sea Lord 1939-1943, died from a brain tumour. Arthur Belton was the younger brother of Cyril, garage owner, and of Harold. He lived in Nottingham. Rev. Hodgson was the regular Methodist minister.